HyperRogue version 11.0 is released! Explore mountainous islands and irradiated fields, fall in the magical gravity, race in non-Euclidean space, listen to the new music, and do other cool things! 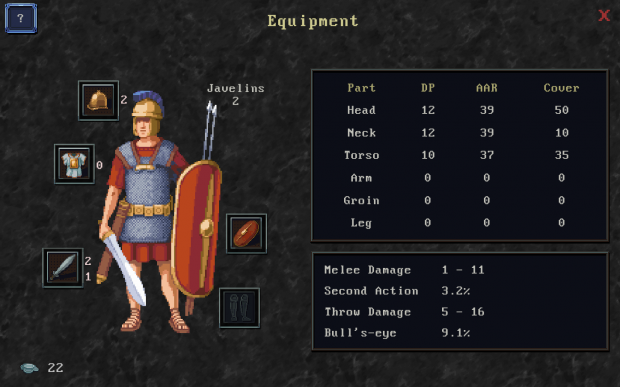 Set during the Second Punic War and beyond, A Legionary's Life lets you play as a Roman conscript soldier. Try to be a hero, rise up through the ranks, get rich through ruthless pillaging or just focus on making it home in one piece; it's up to you. Heroes Ravage is a satire and a love letter to the old RPG genre, where the heroes would enter every house in the game steal all the items from the starving inhabitants and then demand answers about a strange white haired man. In this game we decide to give control of the villagers to players, and have them defend their valuables from the Heroes (Thieves). You can imagine something along the lines of rainbow six siege, but instead of killing each other the goal is to hide or steal all the Green Crystals (a la Zelda Style). Have you ever wanted to take the reins of a small but humble space station, and build it into something epic, as you explore distant galaxies, mine precious minerals, take on daring missions and trade with other space inhabitants. Join us if so, your space station awaits.